Is Iran Becoming The New Superpower? Move Over America; Is Iran the New Super Power on the Block? LISTEN NOW! As Greg and Pat discuss whether Iran is becoming the new super power. CBN reports that “President Barack Obama’s foreign policy is coming under fire after signing the Geneva Accords with Iran last month. A number of America’s traditional allies are asking if the United States is losing its influence in the Middle East. 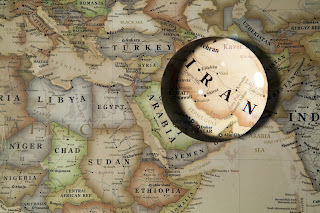 Many experts see a stronger Iran, a weaker America and a region tottering on the brink.” They continue to discuss how Iran is being perceived in the Middle East as a new superpower and the United States is weakening. We are seeing prophecy being fulfilled. Iran has an apocalyptic government and they are being allowed to develop nuclear bombs; there will be a nuclear arms race in the Middle East. We have already seen how the Arab League turned over to Russia. We must stand up for Israel. We are entering times that test men souls, look up for your redemption draws nigh. Those in the Middle East are actually saying that America will soon be gone. This is happening all the while the United States forced Prime Minister Netanyahu to seek help from Russia no less. This is your time to stand. In the past year the number of Christians that have enlisted in the Israeli Defense Force to help Israel has doubled. At the same time the Secretary of State John Kerry, is urging lawmakers to stop sanctions against Iran. This will not end well. Muslim Brotherhood Advising the Obama Administration? What Sharia Law looks like in Great Britain; Will America be next? DNC Promotes Islam AT THE DNC!